Fun challenge on Papertrey's Make it Monday this week...Sequins! All of sudden these old standbys are cool again. I found these cool square sequins at Michael's the other day. Silver and variegated blues all in one package. Love them! All supplies Papertrey Ink except for sequins and Spellbinders square dies. Not sure what the dark fuzz is in the photo ..not a thing on the card. It's Friday...already! Goodness, this week has just flown by and I've still got a million things to do. DH has been raising $$ for MDA this month and they had a car wash as one of the activities. I thought it might be nice to bless those who showed up to wash cars with a sweet treat. I took my favorite Sourcream Coffeecake Recipe and turned it into individual muffins so it would be easier to eat. The recipe serves 16 and it made exactly 16 warm, cinnamony treats. DH took 15 to the car wash.
SOMEBODY had to taste them and since I was the only one available, I made the sacrifice. It...was...worth...it! You can a printable/downloadable recipe HERE. A set of stamps for making some beautiful monogrammed notecards or birthday cards or wedding cards or thank you cards...you get the idea! Just leave me a comment and I'll draw a winner on Good Friday. I've got a post for you at the May Arts Blog today that will make you want to dust off your sewing machine and start sewing! If you can sew a straight line, you can make beautiful gifts with matching cards and tags for mere pennies. Better yet, no one else will have one just like yours because...YOU made it! 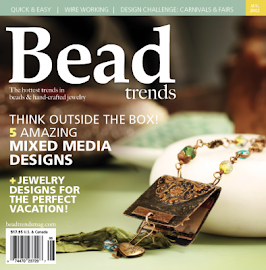 Here's a sneak peek...we always love to know what you think so be sure to leave a comment on the May Arts Blog. Still swollen from my dental procedure and suffering from lack of sleep so no fun stuff today. FYI...Google is discontinuing Google Reader effective July 1. 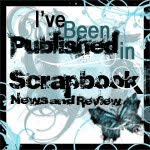 I have signed up with Blog Lovin and will be looking for another way for you to follow as well. If you follow me there, leave a comment and let me know...I'll have a giveaway for all who link up. It's time for What's on Your Workdesk Wednesday and I've had no time to stamp yet this week so my desk has been quite neglected I'm afraid. That white mat you see is one of those heat, glue, ink resistant mats that I got at an awesome price from Happy N Scrappin' (she's going out of business so you might still be able to score some good buys). The buxom French inspired card in the background is a Teapotter RAK that I received from none other than the Queen Mudder, Cindy Motherway aka Mothermark. We were supposed to surprise her on Tickle a Teapotter Tuesday and then SHE surprised all of us with a card of her own. 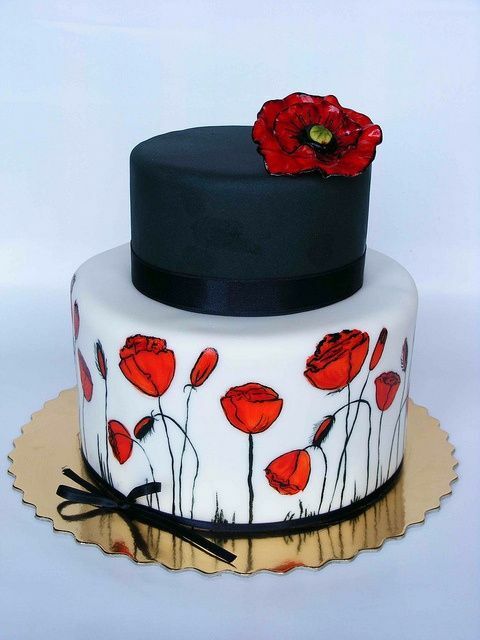 That lady is seriously talented. Those two pink and green beauties as well as the butterfly, and the embossed panels were RAK's from Splitcoaster, "Broom", another seriously talented Teapotter. The last Tuesday of each month is "Tickle a Teapotter Tuesday". We never know to whom our cards will be going until we get a secret message with the name. Come play along! I punched the bunnies but have yet to put them into action...guess I better hurry, huh? Be sure to pop over to Julia's Stamping Ground for WOYWW197 to see what the rest of the world has been up to. 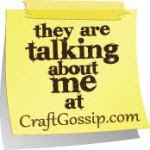 There are always something interesting from sewing projects to cards and other art. I'll be spending the first three hours of today in the dentist's chair getting a crown replaced. Needless to say, I am NOT looking forward to it. Foodie Friday - Cake Pops! I haven't done a Foodie Friday in what seems like forever. DH is having a bake sale for MDA and cake pops are always a hit. I made a homemade chocolate cake (an easy one bowl cake that will make you wonder why you buy a mix). Instead of my usual PB frosting, I made an awesome silky chocolate frosting to stir into the crumbled cake. Email me if you'd like the recipe. All wrapped up, boxed and ready to go! Get ready for a fun challenge! 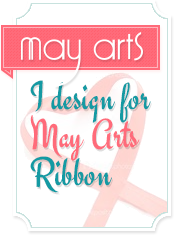 May Arts Ribbon is sponsoring the 10 Minute Craft Dash on the Pretty Pink Posh Blog. That means you have 10 minutes to create a project using the inspiration photo. Anyone who knows me or has read my blog for awhile knows that lightning strikes more often than I complete a card in 10 minutes but with the help of a May Arts Satin ribbon flower that I had made earlier, I was able to pull it off! I actually made quite a few of these in different colors to keep on hand. I shocked myself! 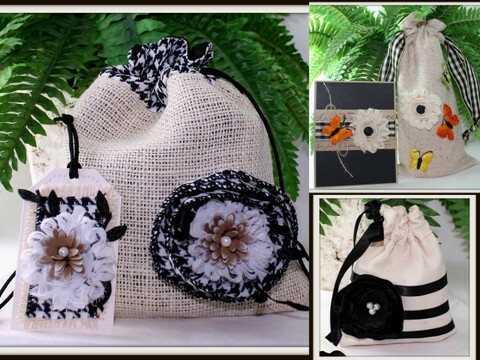 You are allowed to get your supplies out in advance and I used that time to think out my design before I started. Go here to (http://www.prettypinkposh.com) for the challenge details and to see the Pretty Pink Posh DT's creations. 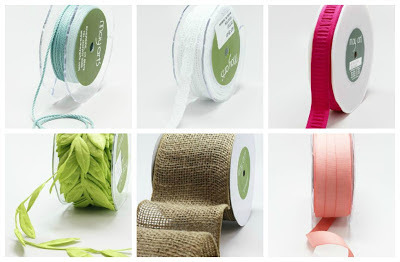 Did you see that pretty stash of ribbon at the top of the page? 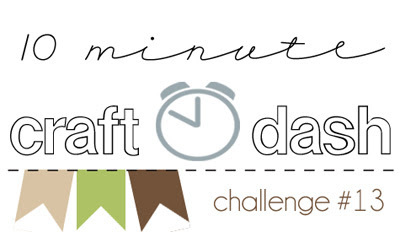 You could win it just for playing along so get your timer set and do the 10 Minute Craft Dash! Cardstock - Papertrey Ink; Echo Park Paper Co. It's also time for WOYWW 196 on Julia's Stamping Ground so you can see what's on workdesks around the world. Here's a shot of my desk back to messy normal. I did get my new cubes up so that I could put more of my ink within arm's reach. This week's Teapot Tuesday challenge cards MMTPT240 are heading to Jean in Wisconsin. Jean's story is below which will explain the hairdresser and flower theme...we get extra cookies for lots of flowers so I made sure to bring plenty to the party. I used the Color Challenge (CC345 - Blushing Rose Limeade) from waaaaay back in Oct./2011. I paper pieced her dress with the same floral paper and added a sparkle for the "o". If you'd like to send Jean a card from your stash, I'm sure it would make her day. Jean was a hair sylist all her life and owned her own shop. She loves the mountains, flowers, and Wisconsin Badgers. And scripture would be wonderful, as they are active in their church. Love your pretty butterfly card! Great colors! Extra, Extra... 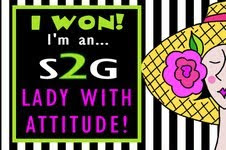 It's Spring Challenge Time! 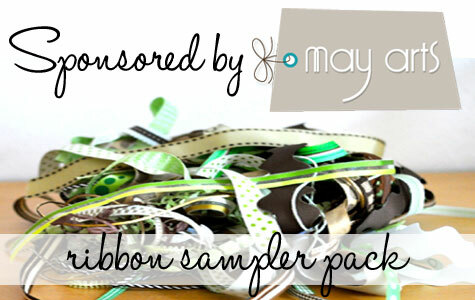 It's time for the May Arts Ribbon Spring Craft Challenge and you can play along. Want to see what you get to play with? Hurry though because only a limited number of crafters can play.